Norovirus, a highly contagious stomach bug, struck dozens of passengers aboard the cruise ship the Star Princess during a two-week sojourn through the Hawaiian Islands. The outbreak came just six months after more than 150 people on board the same cruise ship were plagued by the same virus, which causes vomiting and diarrhea. The ship docked Sunday morning in Vancouver after 15 days in Hawaii, and at least two passengers were brought to the hospital, CBC News reported. A passenger on the ship estimated that 60 people had symptoms, while officials said 78 people were sick, and a spokeswoman for Princess Cruises -- which operates the Star Princess -- told CBC News that five people had active symptoms. The ship had 2,590 passengers in total. "In order to interrupt the spread of illness, we proactively initiated an extensive sanitation campaign onboard," Karen Candy, the spokeswoman for Princess Cruises, said. The ship's staff disinfected hand railings, door handles and elevator buttons, isolated sick guests in their rooms and distributed sanitizing gel around the ship. 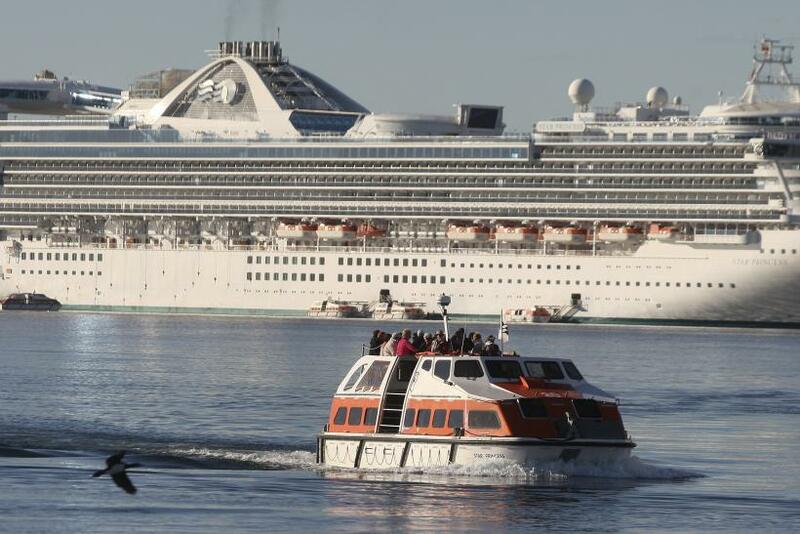 In Vancouver, where the ship had docked, the Star Princess received extra cleaning that delayed its departure from port. The U.S. Centers for Disease Control and Prevention, or CDC, keeps track of cruise ship outbreaks as part of its vessel sanitation program, posting information about the outbreaks only when three percent or more of those on board have symptoms of gastrointestinal illness. The most recent cruise ship outbreak included on the CDC website occurred on the same ship -- the Star Princess -- in April and May of 2015. In that outbreak, 135 people out of 2,588 passengers and 16 out of 1,093 crew members had vomiting and diarrhea found to be caused by norovirus. Following that episode, Princess Cruises disinfected the ship and the CDC inspected it. In the Star Princess' most recent CDC inspection report, it received a score of 96, out of 100.